Priced at $350 U.S. MSRP, the CA-1 enables new opportunities for Control4 dealers to offer smart home experiences to a broader market via home builders, MDU developers, and hotel operators. 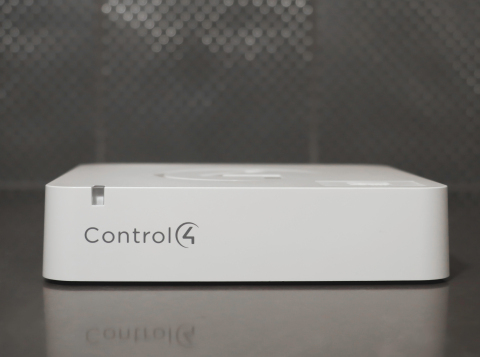 SALT LAKE CITY--(BUSINESS WIRE)--Control4 Corporation (NASDAQ: CTRL), a leading global provider of smart home solutions, announces the immediate availability of the Control4® CA-1 Automation Controller. The CA-1 enables Control4 Dealers to provide an orchestrated smart home experience for homeowners interested in lighting, temperature control, and security. At $350 U.S. MSRP, the new controller is designed to appeal to homebuilders, MDU developers, and hoteliers, giving them a way to differentiate with the inclusion of the most sought-after smart home experiences. Tailored specifically for smart home projects that desire lighting, comfort, and/or security, the CA-1 Automation Controller includes Ethernet, WiFi, Zigbee, and serial communication, leveraging the large Control4 database of thousands of third-party devices to ensure easy integration and interoperability. Using the optional Z-Wave module, sold separately at $70 U.S. MSRP, enables the CA-1 to be compatible with a selected set of Z-Wave control devices including door, window, water, flood, and temperature sensors, electrical outlets, and dimmer outlet modules. The CA-1 also features Power-over-Ethernet (PoE) so it can be installed virtually anywhere with a single network cable. Expanding the Control4 controller lineup, the CA-1 complements the entertainment-focused EA Series controller line, used in projects of all sizes and complexity. Using the CA-1, home builders and homeowners can now start with smart lighting, safety, and security via Control4. The new Control4 CA-1 comes in white for discrete wall, closet, and shelving installations. The CA-1 is available and shipping today, globally, at $350 U.S. MSRP with a two-year warranty. The CA-1 will be featured at Integrated Systems Europe in Amsterdam from February 6 to 9, 2018 in the Control4 stand 10-N130. Control4 [NASDAQ: CTRL] is a leading global provider of automation and networking systems for homes and businesses, offering personalized control of lighting, music, video, comfort, security, communications, and more into a unified smart home system that enhances the daily lives of its consumers. Control4 unlocks the potential of connected devices, making networks more robust, entertainment systems easier to use, homes more comfortable and energy efficient, and provides families more peace of mind. Today, every home and business needs automation horsepower and a high-performance network to manage the increasing number of connected devices. The Control4 platform interoperates with over 11,000 third-party consumer electronics products, ensuring an ever-expanding ecosystem of devices will work together. Control4 is now available in 101 countries. Leveraging a professional distribution channel that includes over 5,200 custom integrators, retailers, and distributors authorized to sell the full-line of Control4 products, Pakedge branded networking solutions and Triad Speakers, Control4 is delivering intelligent solutions for consumers, major consumer electronics companies, hotels, and businesses around the world.